From this tutorial you will learn how to import headers/footers saved in json format, and use them in your site. First, open a page you work on in Elementor and click Add Template button. Now, after clicking the button you will see Library page opened. Here you need select My Templates tab. Next, click on Import Template icon in the upper right corner. 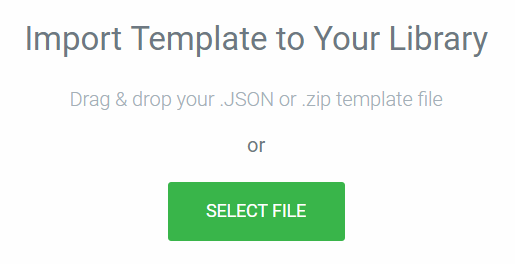 In the pop-up window you may choose either to drag and drop your json file (.zip template file) or click on Select File button. That’s all! Now you can import your headers/ footers to your site!